I reeeeeeally need to stop taking advice from the car on where to nap. 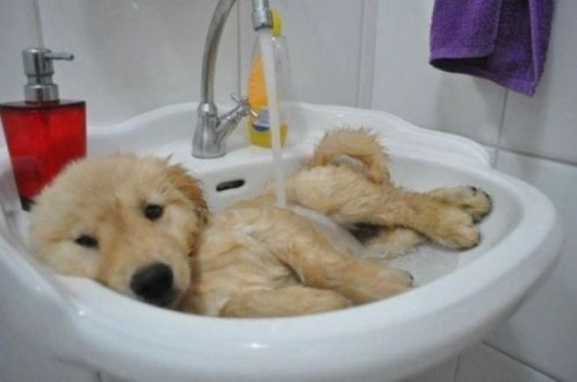 Would you please turn off the water? This is starting to feel way too much like a bath. Follow all of Laurie Kay Olson's favorite animal pics on Pinterest. Click here.